Mikä on Blackstarin salaperäinen uutuus? Lue Kitarablogia huomenna! From a guitarist’s standpoint, Finland truly is the land where milk and honey flow. 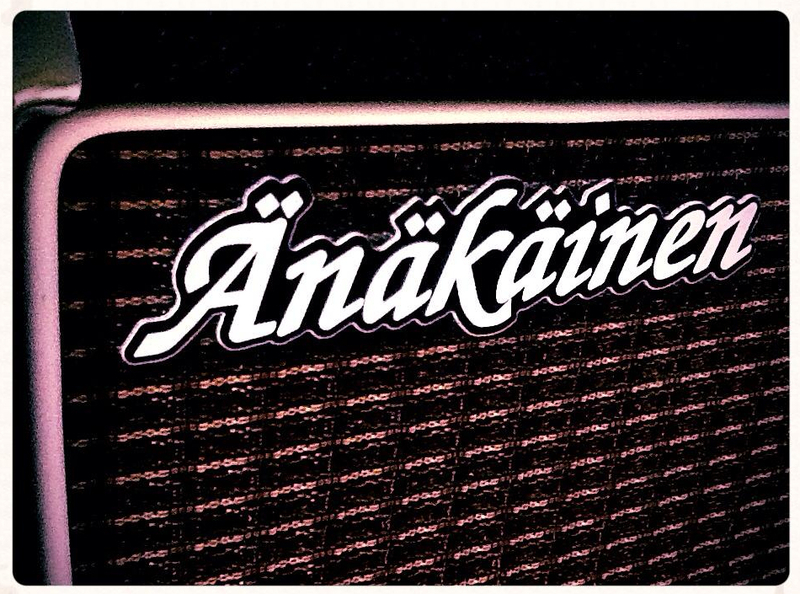 In relation to its tiny population Finland is home to an unbelievable number of first-rate guitar-, effects- and amp-makers. 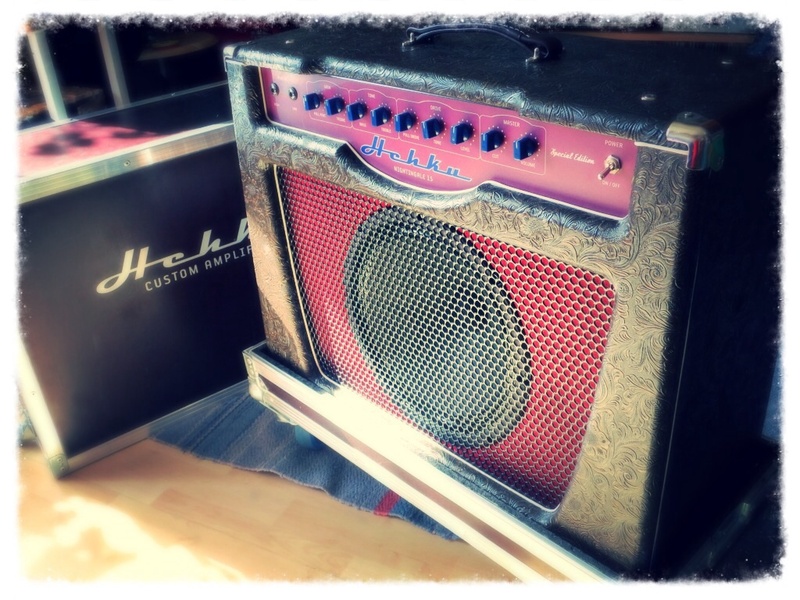 One such boutique-level amp brand is Hehku Customs from the town of Pori (on the western coast). Hehku’s team consists of chief designer Jarmo Välimäki, as well as Markku Penttilä and Juha Heljakka, who are in charge of R & D, sales and marketing. 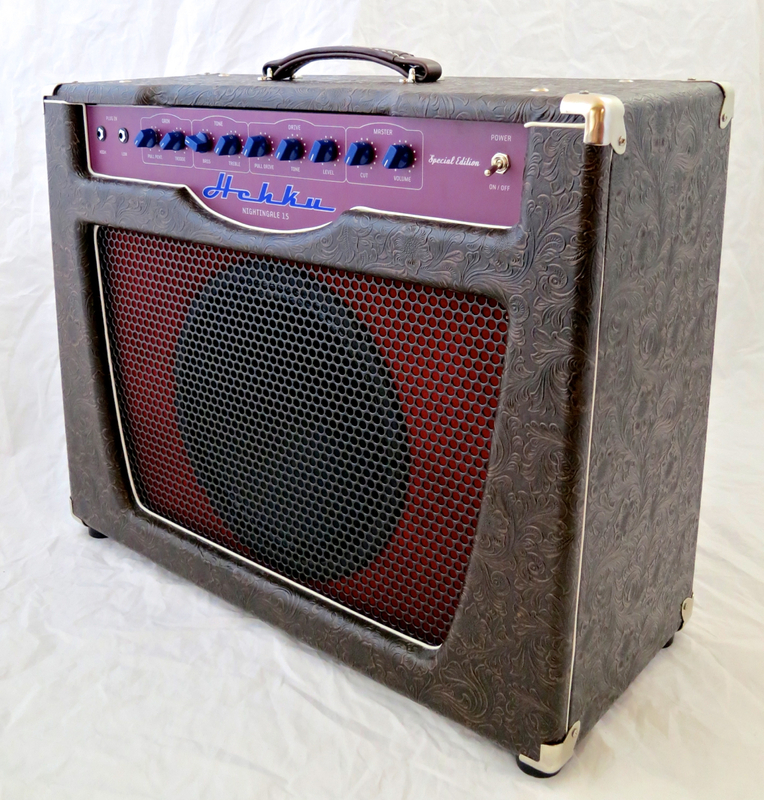 There are several examples of different custom amps the company has built on Hehku’s website. 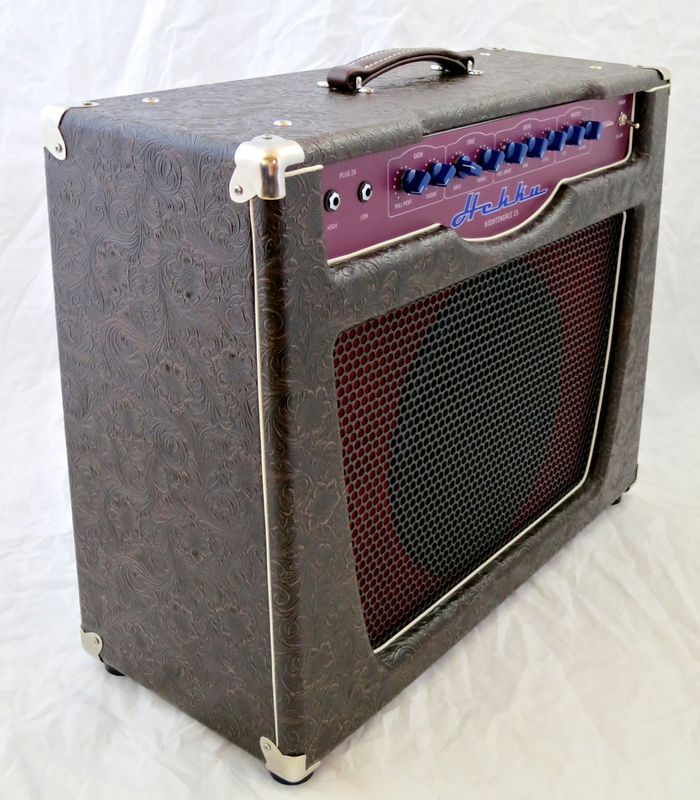 Prices for custom amps start at about roughly 1,300 €. Hehku Custom’s cabinet sizes and shapes are standardised, but all other details can be tailoured to each customers wishes and requirements. ”The basic idea is that we want to make our customers’ wildest dreams come true!” says Jarmo Välimäki. Kitarablogi got a 15-watt Hehku Nightingale 15 combo for testing. This is Hehku Custom’s first standardised model without custom options. The Nightingale 15 (combo approx. : 1,950 €, head approx. : 1,750 €) is a hand-made, all-valve combo with a single 12-inch speaker, and represents many features typical of Hehku’s design philosophy. 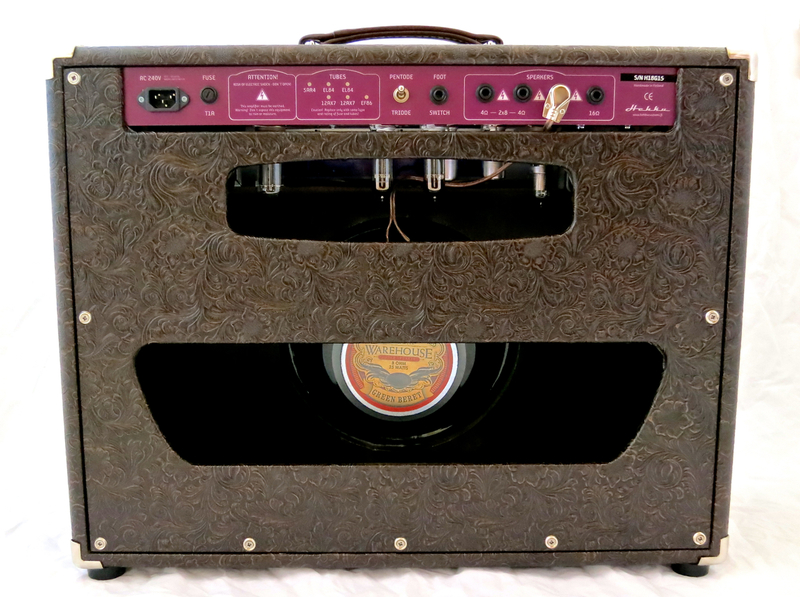 The Nightingale’s cool and original looks make it clear from the off that this combo isn’t your typical Fender Tweed clone. The Hehku Nightingale is an open-backed combo with easy valve access. All Hehku cabinets are made from Finnish birch ply, which is an outstanding material, both in terms of strength as well as sound. Birch ply is also relatively lightweight, which is why the Nightingale is easy to carry by its single top handle. 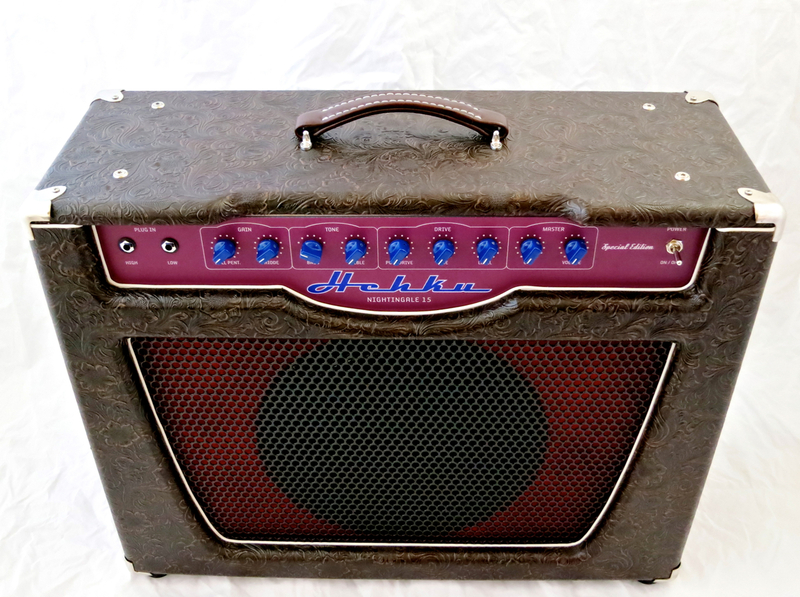 Hehku also offers professional transport cases to go with their amps and cabinets. 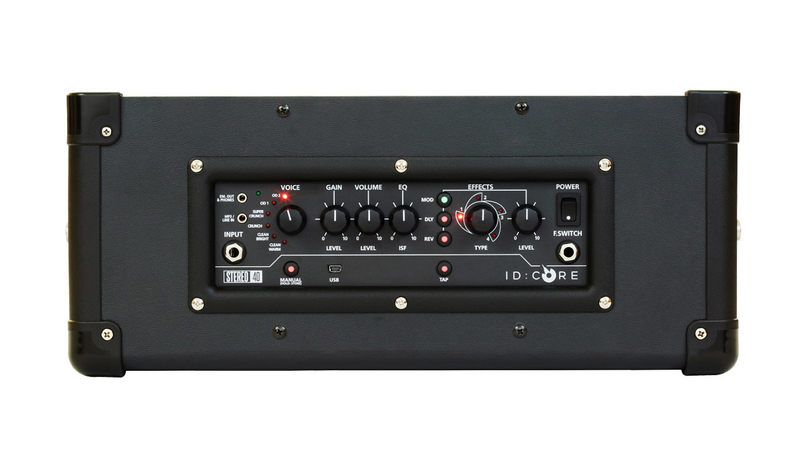 A road case for the Nightingale 15 would set you back around 260 €. Hehku’s Nightingale 15 is a very special case for a two channel combo, because its signal path is in series the whole way through. Most vintage (-style) amps have two discrete channels with separate controls and functions (like ”Normal” and ”Tremolo”), and no channel switching capabilities. 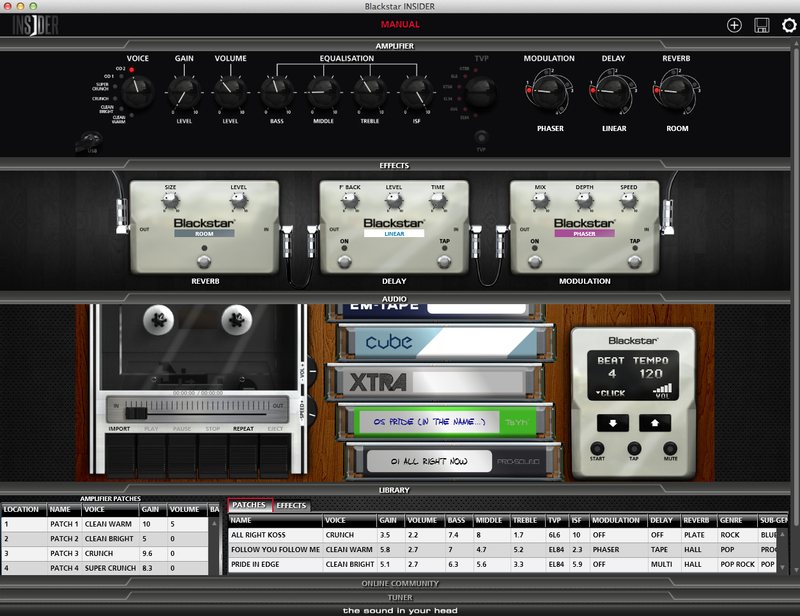 Modern amps, on the other hand, may share a single EQ section between two channels, but they offer channel switching, and separate gain and volume settings for each channel. Hehku’s Nightingale takes its own, idiosyncratic path by offering two switchable channels in a cascading set-up. This means that the Clean channel’s triode and pentode gain settings, as well as this channels two-band EQ (six-position rotary Bass, active Treble), also influence the Drive channel’s tone and response. 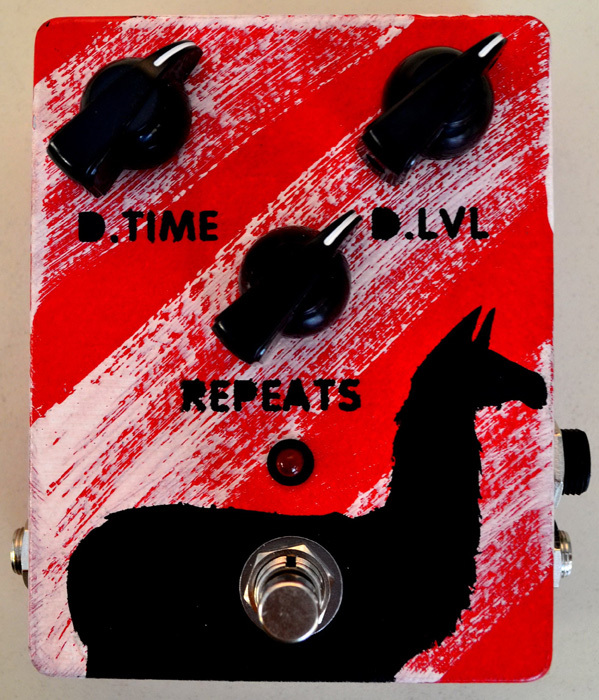 You can either use the control panel’s push/pull-switches or the compact footswitch unit (included with the amp) to select triode- and pentode-modes, and to switch from Clean to Drive. The Nightingale’s back panel sports a handy valve chart for easy orientation. 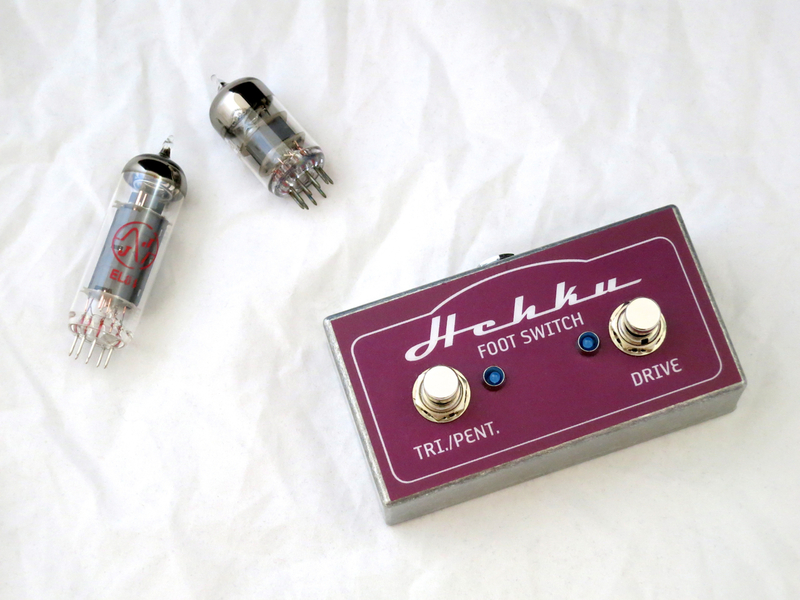 There’s also a triode/pentode switch for the power amp valves – switching to triode-mode the combo’s output power drops from fifteen to seven watts, and it also changes the amp’s tone somewhat. 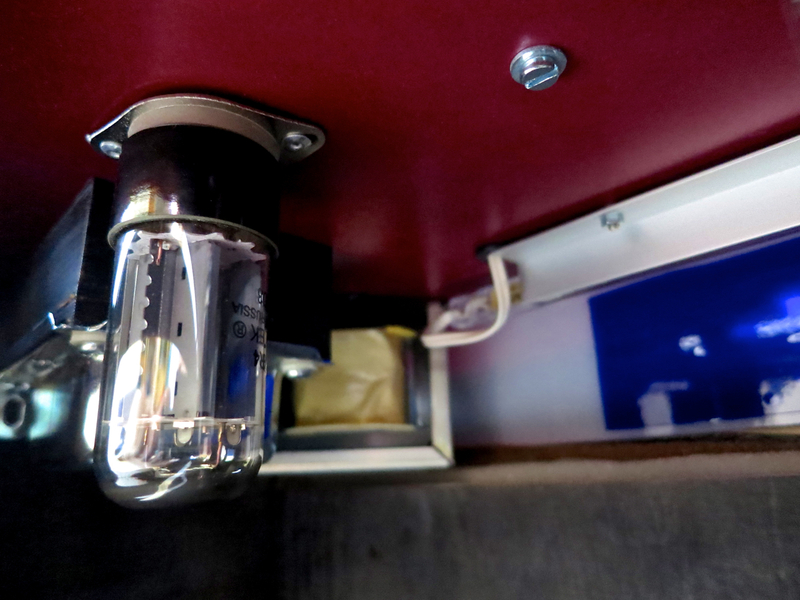 Thanks to its four speaker outputs you will be able to connect the Nightingale to virtually any external guitar cabinet you can find. The clean channel is constructed around a EF86-type pentode. The EF86 (aka the 6267) is known for its great tone, and it can be found in some vintage Vox amps, as well as in Matchless and Dr Z amps. But due to its microphonic nature this tube type is not widely used. 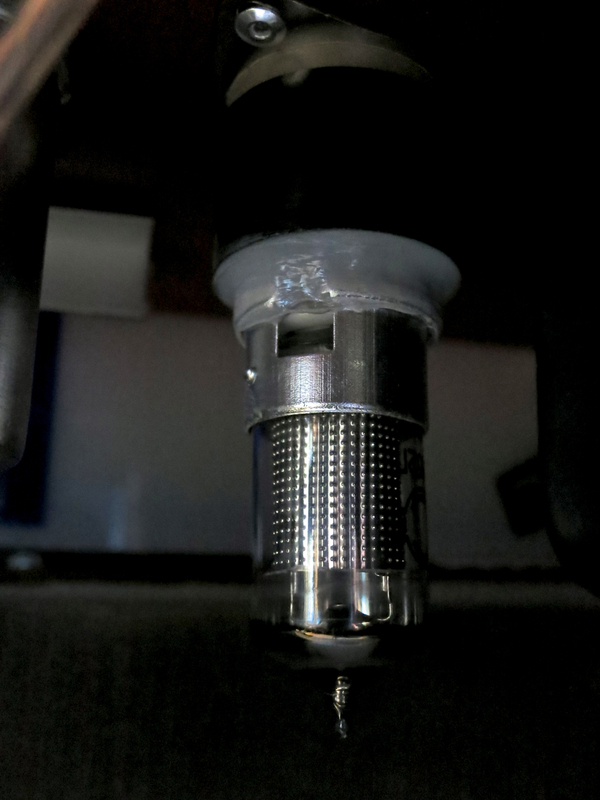 Hehku Customs has solved this problem by using a damper made from silicone, which decouples the EF86 from the mechanical vibrations of the combo. 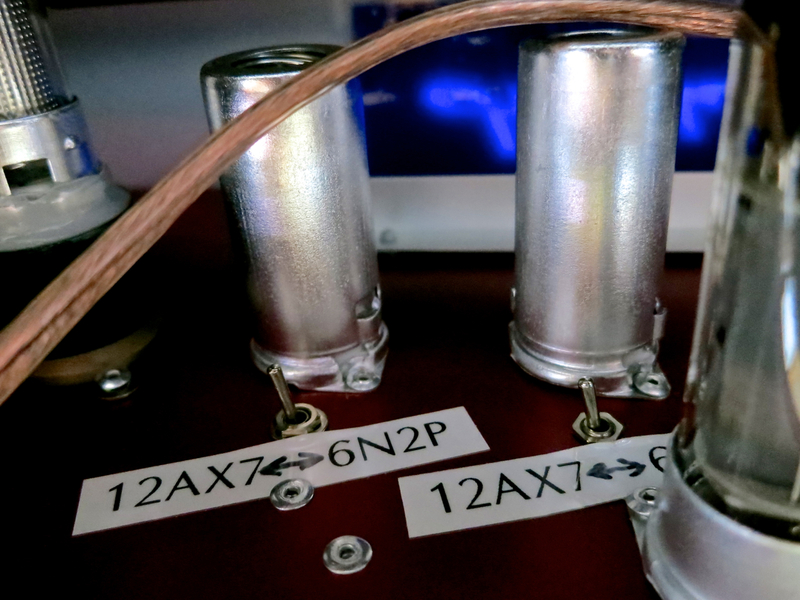 Overdrive (and phase inversion) duties are handled by a pair of 6N2P-valves, which are Russian, military-spec’ed relatives of the 12AX7/ECC83, offering a slightly different gain structure and sound. 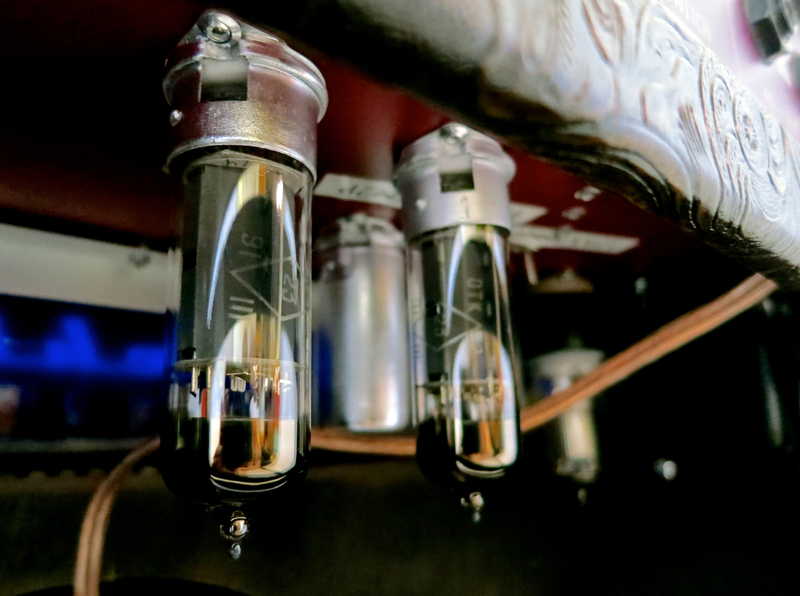 The Nightingale uses a tube rectifier designed around a type 5AR4. The power amp section runs on a pair of EL84s. You could also drop in two Russian (military) 6P15P/EL83-types, and thanks to the fact that the Hehku Nightingale is self-biasing, you can do this without the need for an amp technician. 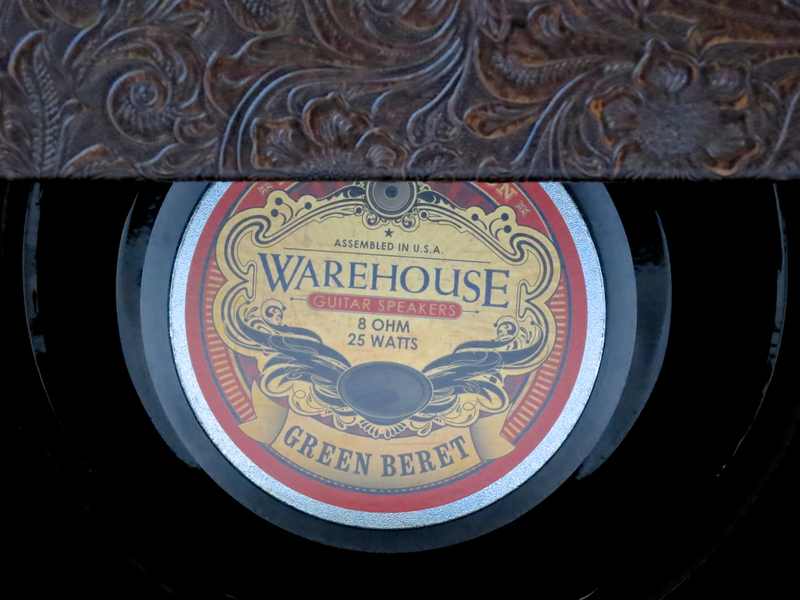 A quality 12-inch speaker from Warehouse, the Green Beret, has been selected for its British sound. With its factory set-up (6N2P + EL84), the Hehku Nightingale 15’s clean channels has plenty of headroom, even for twin humbucker guitars. The six-step Bass-rotary and the combo’s active Treble control offer you a lot of leeway to tune the tone to your requirements. Tonally, the Nightingale’s clean delivery is more ”Vox” than ”Blackface”. The Nightingale’s overdriven tones are extremely tasty, too. There’s a very juicy mid-range, coupled with a healthy dose of top end grit, which will surely satisfy any fan of classic Rock and Blues sounds. With the alternative set, there’s much less headroom on offer. Even the Telecaster will drive the clean channel into break-up (in pentode-mode), with the Hamer stepping clearly into Blues-overdrive territory. These valves add more gain to the drive channel, and also result in a slightly flabbier bass and sharper treble. The Nightingale 15 sounds great this way, too, even though my own preferences lean more into the direction of the factory set-up. 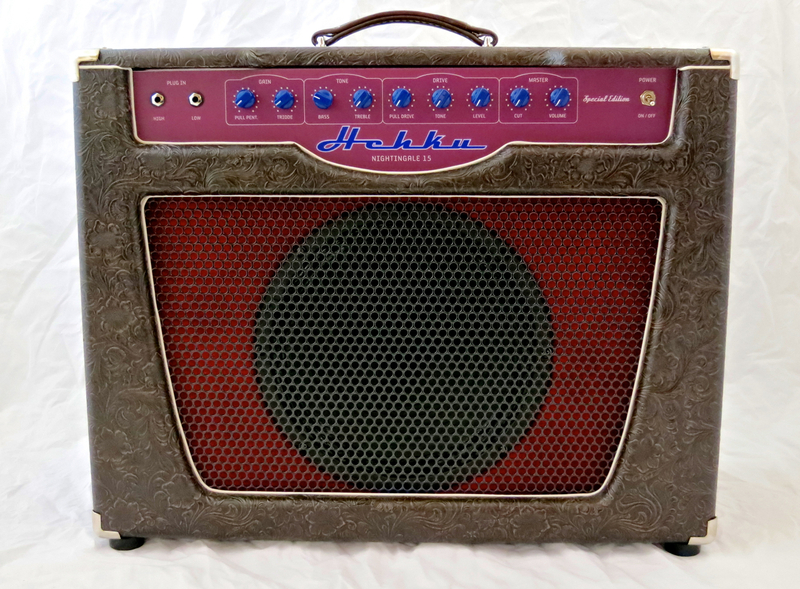 In my view, the Hehku Customs Nightingale 15 is a fantastic all-valve combo with its own voice and an interestingly idiosyncratic overall concept. I like Hehku’s eye for detail, and the fact that the company go their own way in terms of looks and electronic design. The Nightingale is a top-drawer amp, offering its own distinctive looks and sounds, without the need to resort to snake oil or nostalgic tube voodoo. Hehku’s Nightingale is a modern, hand-made valve combo, with a clear and easy-to-understand lay-out, as well as a very interesting and interactive signal path. The Nightingale is not about trying to imitate any specific vintage amp’s sounds – this amp is a true creative tool, setting you on your path to your personal guitar tone nirvana. The Nightingale 15 sure isn’t cheap, but in light of the fact that this is a hand-made Finnish product, you can only call the price tag very fair! 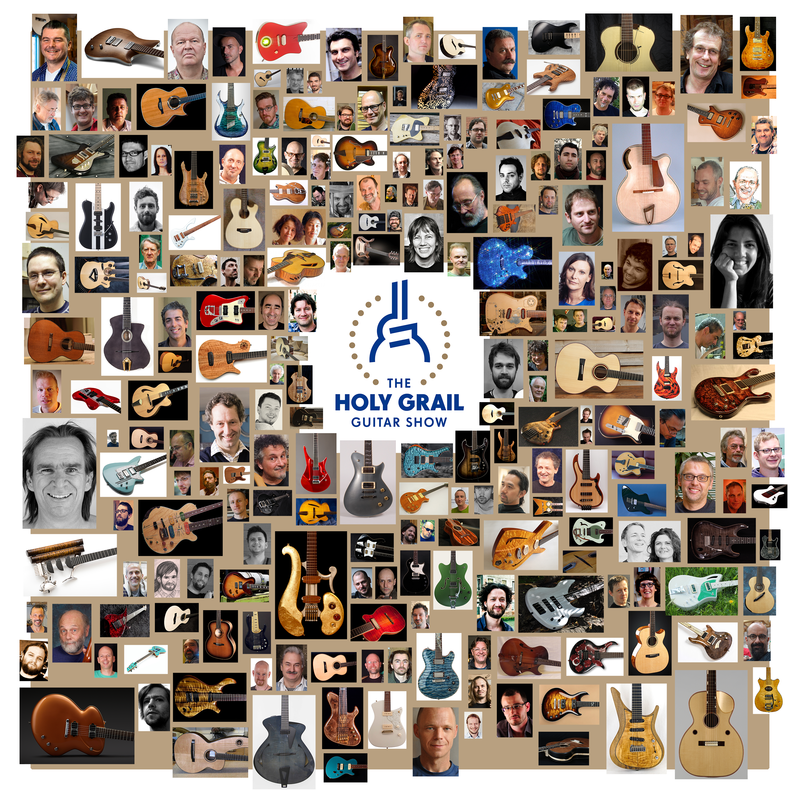 The Holy Grail Guitar Show -näyttely antaa sinulle ainutkertaisen mahdollisuuden tutustua maailman parhaimpiin uusiin kitaroihin, sekä tekijöihin unelmasoittimien takana! The Holy Grail Guitar Show:n takana on eurooppalaisten kitararakentajien yhdistys The European Guitar Builders. Tapahtuma järjestetään Berliinissä, Estrel Berlin Hotel and Congress Centre:ssä 15. ja 16. marraskuuta. Tarkempaa lisätietoa tapahtumasta saa TÄSSÄ. Kitarablogi.com on luonnollisesti myös menossa! Tokai Guitars have a well-earned reputation for making high-quality electric guitars and basses, often ”inspired” by vintage designs. This time we got three semis from the very top of Tokai’s Japanese model range for review. 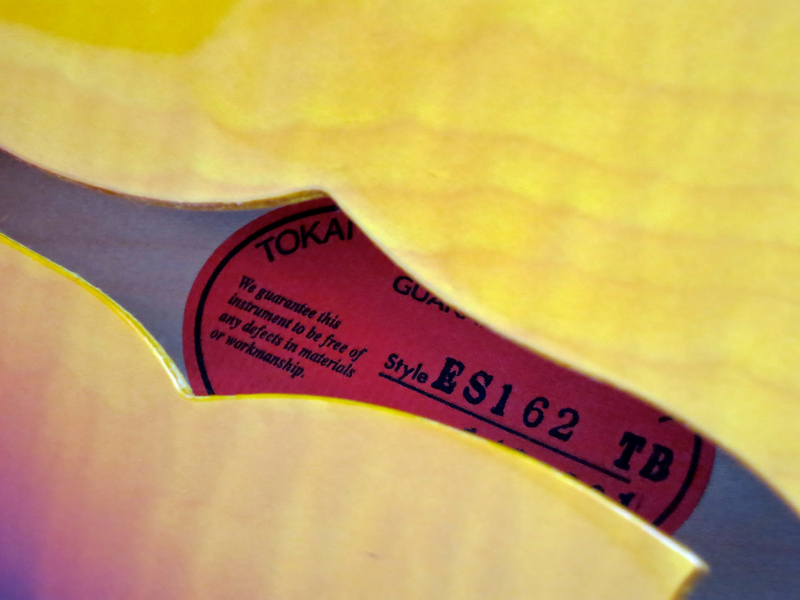 The Tokai ES-138 (current price in Finland: 1,368 €, incl. 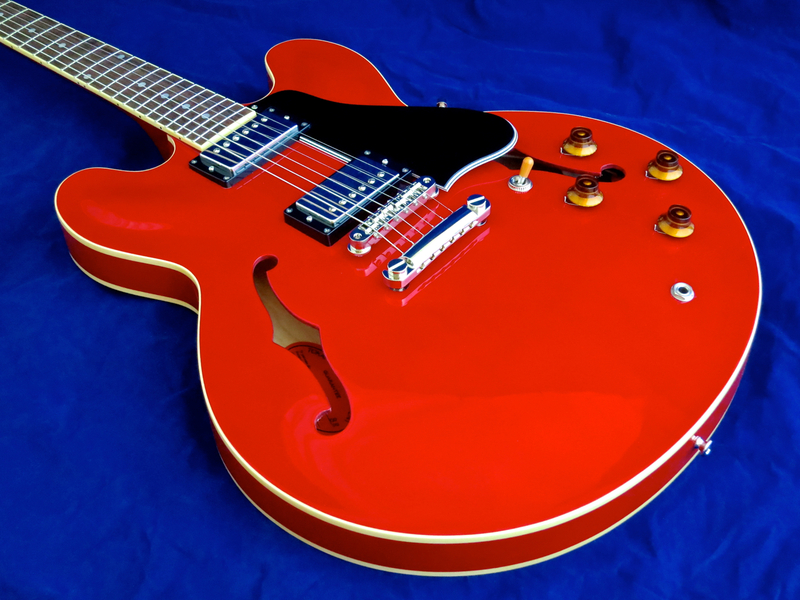 hard case) is the company’s version of a 1958 Gibson ES-335, available in either see-through red or piano black. 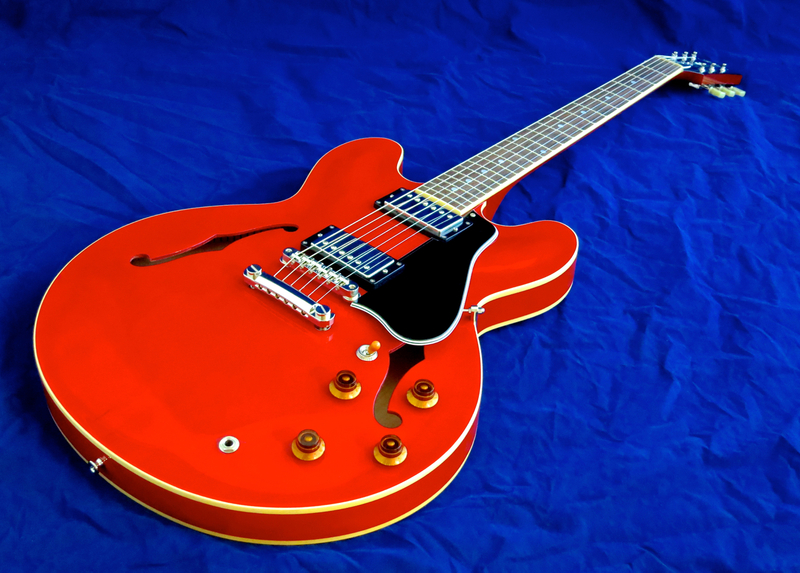 Tokai’s ES-145G (current price in Finland: 1,431 €, incl. hard case) is a lightly updated variation on the theme, which comes equipped with gold-coloured hardware and a black finish. 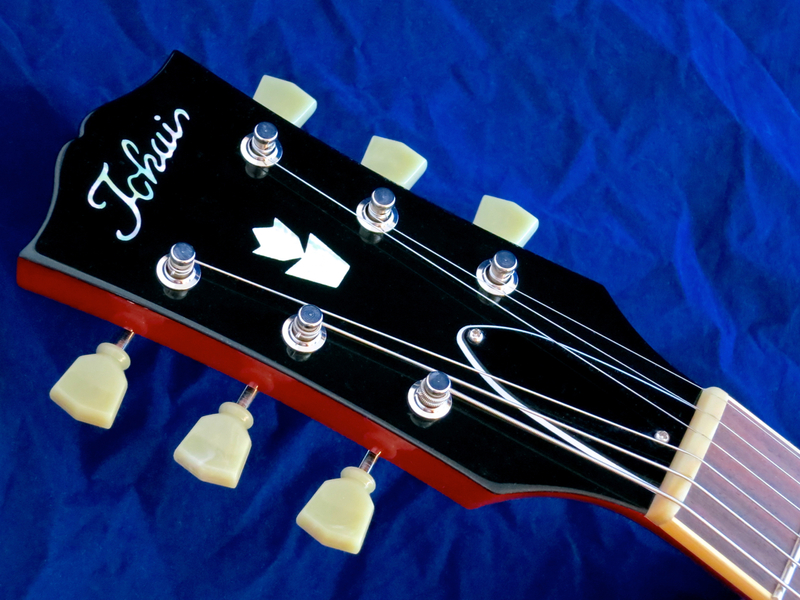 The Tokai ES-162 (current price in Finland: 1,628 €, incl. hard case) is the most expensive model of the three on review. 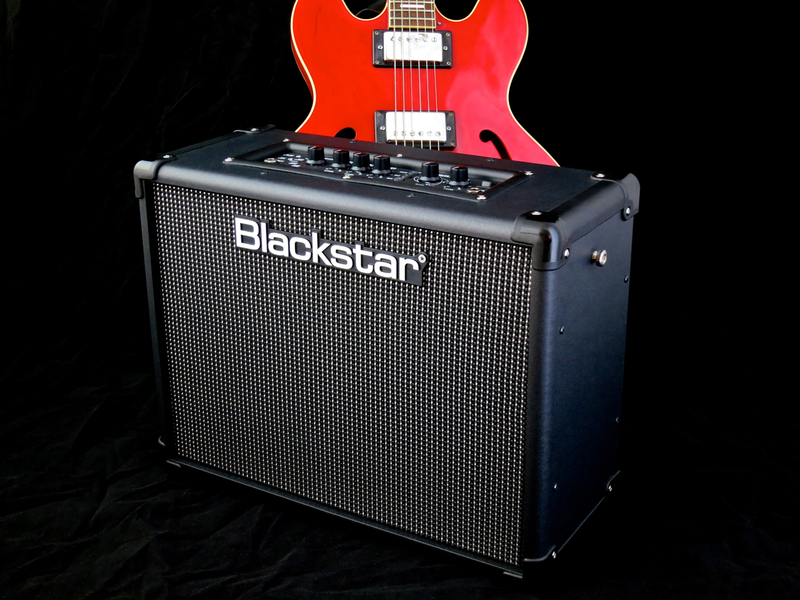 The ES-162 comes with post-1962 style small block markers, brass bridge saddles, and a light aluminium stopbar. 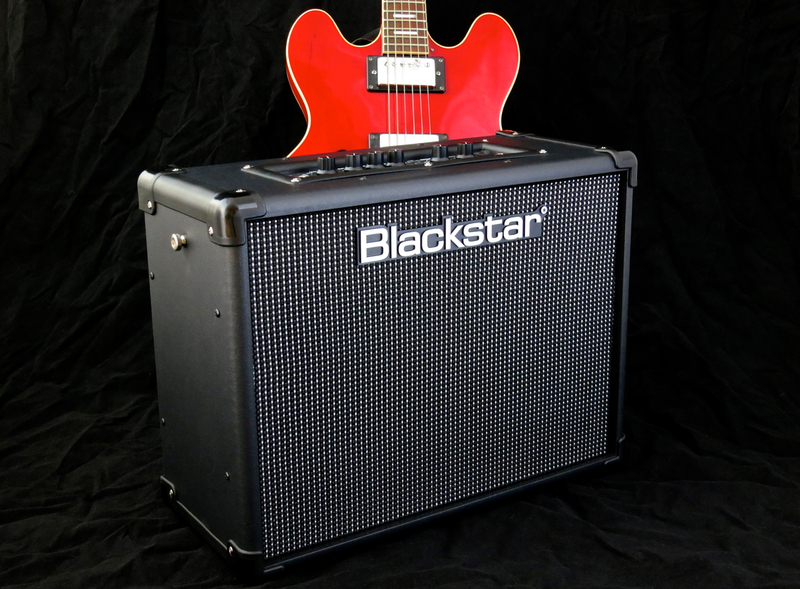 The icing on the cake is this model’s vintage-style nitrocellulose finish – you can choose between a tri-burst and red. 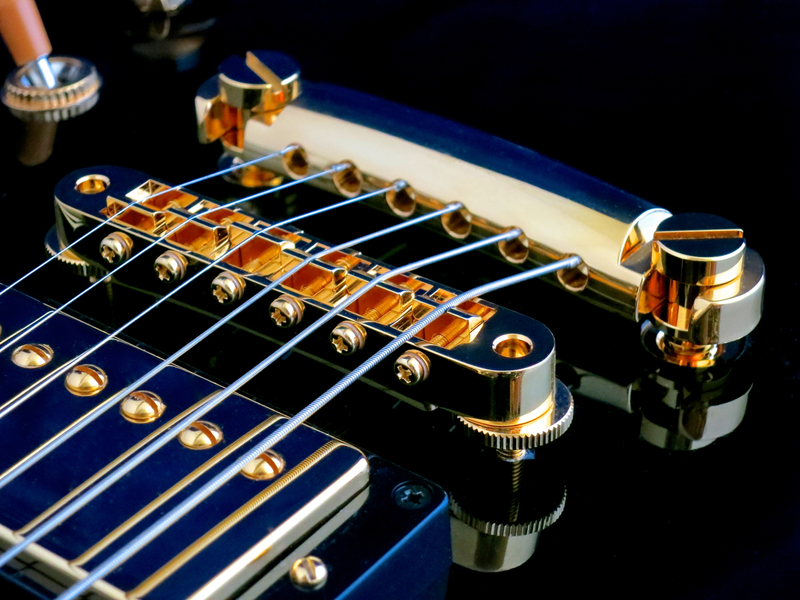 Tokai use top-drawer Gotoh tuners on the three tested models. 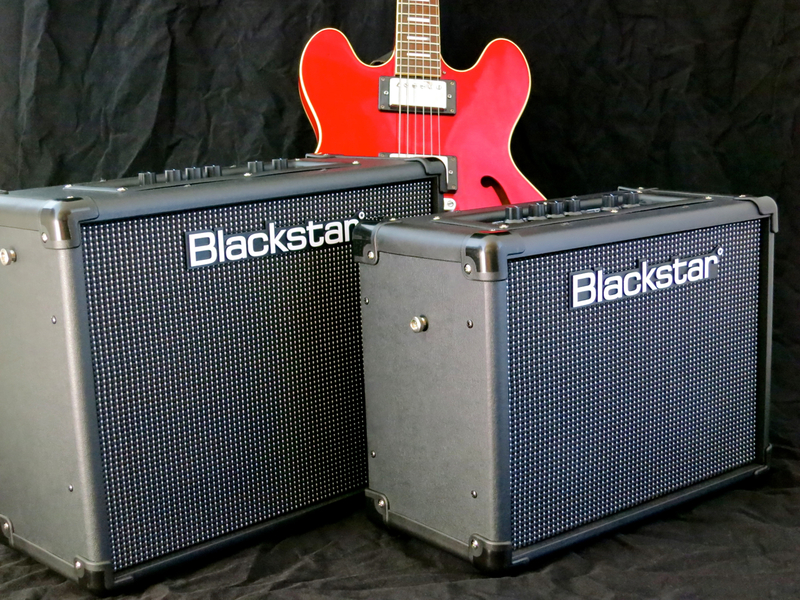 The ES-138 and ES-162 come equipped with vintage-style Kluson-copies. 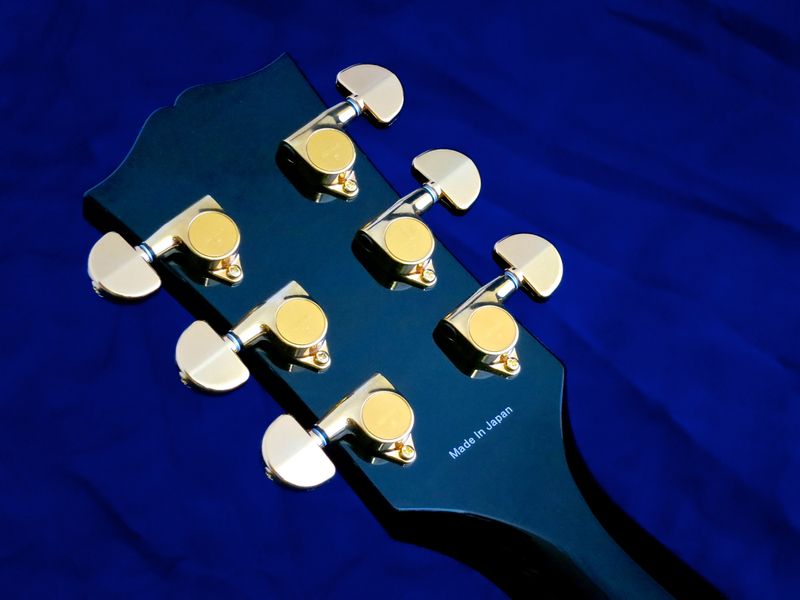 For the ES-145G Tokai have chosen a set of modern enclosed Gotohs. These Tokai Japan -instruments all come with a one-piece mahogany neck, complete with a vintage-correct, steep headstock angle (17 degrees). 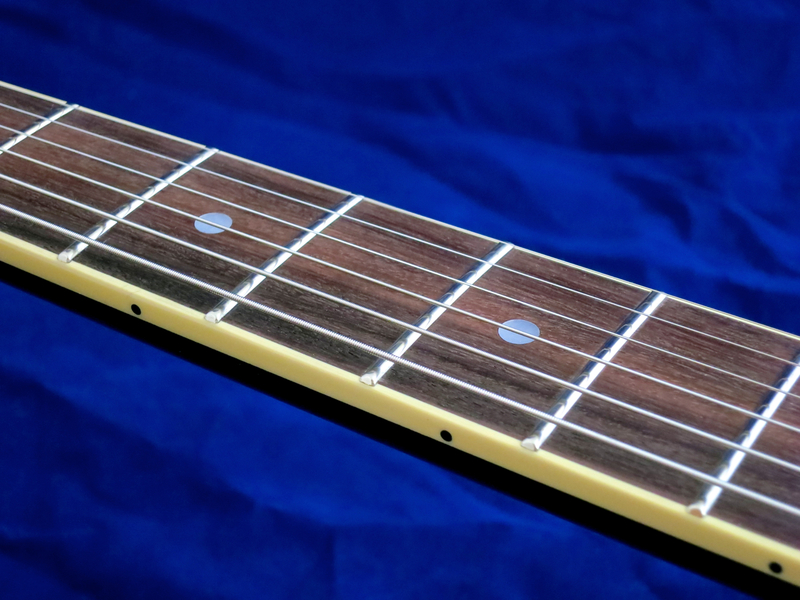 The bound rosewood fretboards on the ES-138 and ES-145G models sport dot markers. As the ES-162 is Tokai’s version of a 1962-’64 ”Block Marker” ES-335, this guitar comes with small rectangular inlays made of pearloid. All three instruments come fitted with medium-size frets. 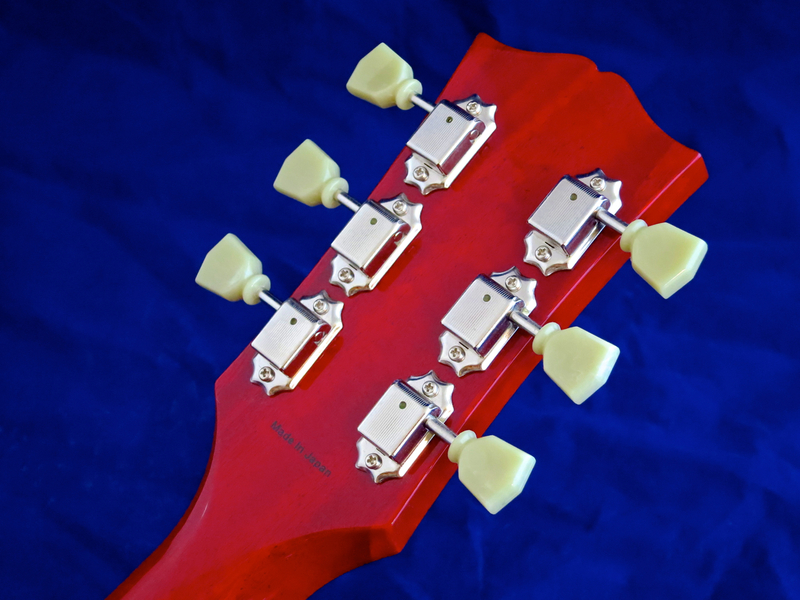 Tokai’s ES-guitars come with Gotoh Tune-o-matic-bridges and stopbar tailpieces. 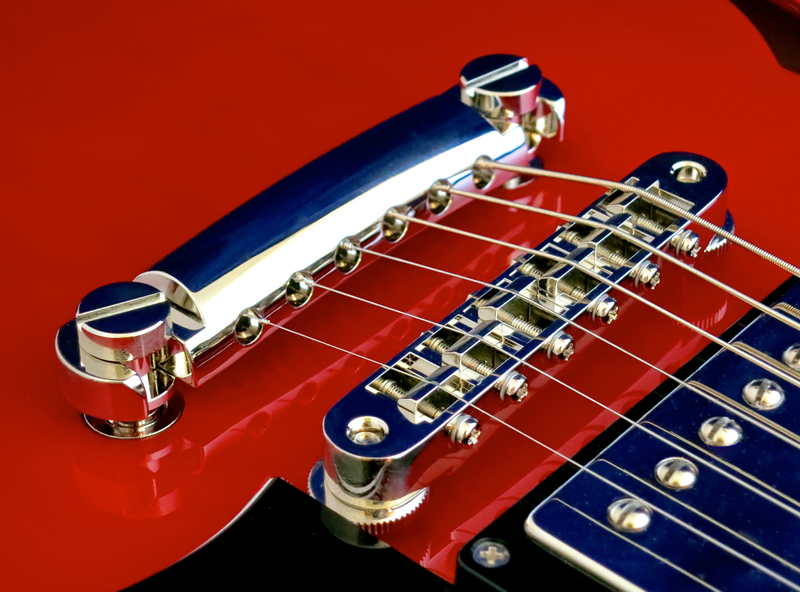 On the ES-138 and the ES-145G we find Gotoh’s LS-series hardware – die-cast (Zamac) parts with steel bridge saddles. The ES-162 goes one step more ”vintage” by using a Gotoh HLS -set, comprising an ultra-light aluminium stopbar tailpiece and chrome-plated brass saddles on the bridge. This guitar trio is equipped with the same pickups – a pair of Tokai PAF-Vintage Mark II -humbuckers. All the electronic components are top quality Japanese parts. Certain Tokai Japan -models are now sold in Finland complete with Tokai’s cool hard cases. 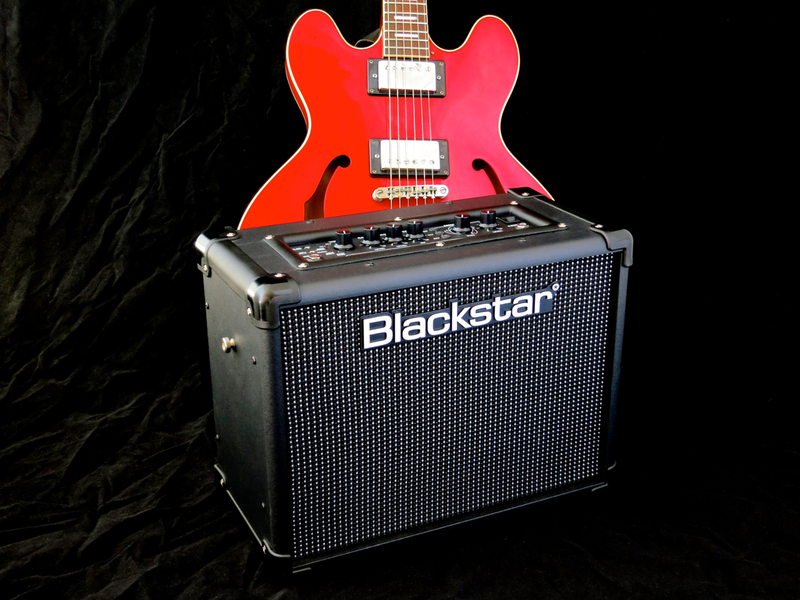 The cherry red semi-acoustic is one of guitardom’s most iconic electric models. 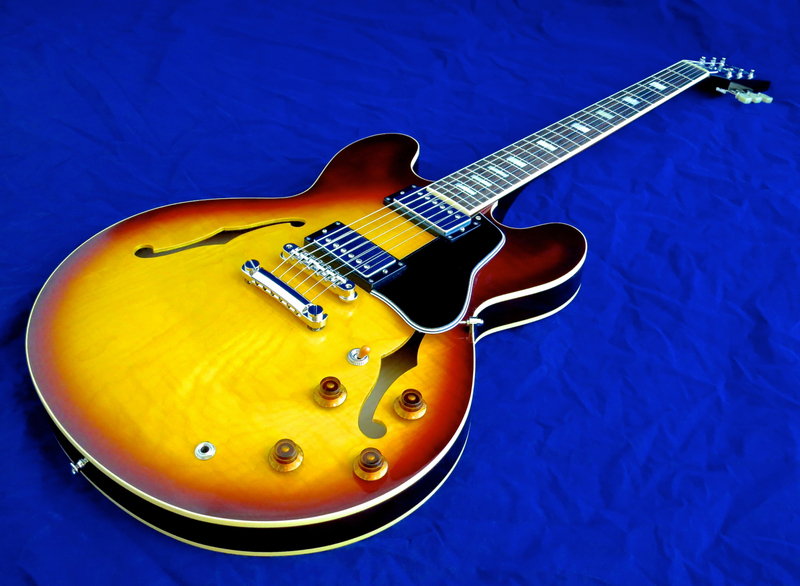 For many this curvy and well-rounded body, made from heat-pressed maple plywood, is the most beautiful body style ever. Tokai’s ES-138 recreates this classic guitar in its earliest guise (c. 1958), complete with dot markers and a long pickguard, which extends past the bridge. 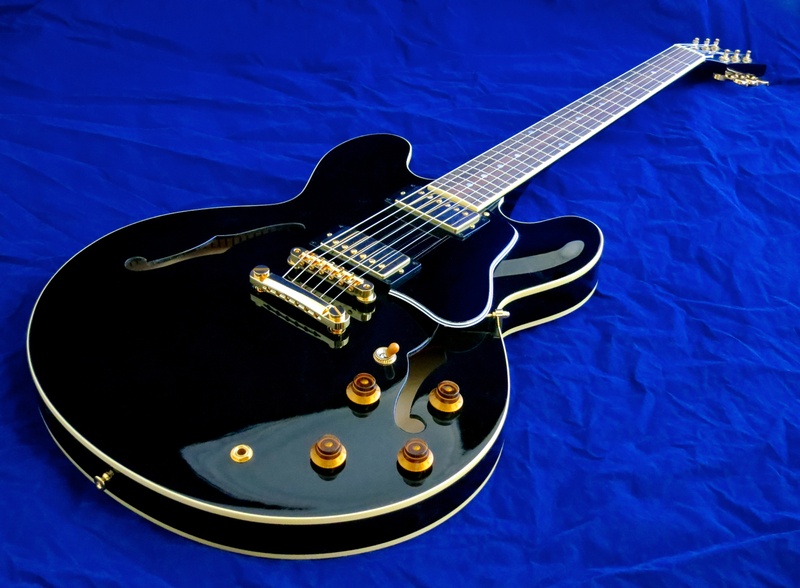 Even though an ES-335-type body is comparatively large (but thin), many of the best semi-acoustics are surprisingly lightweight. 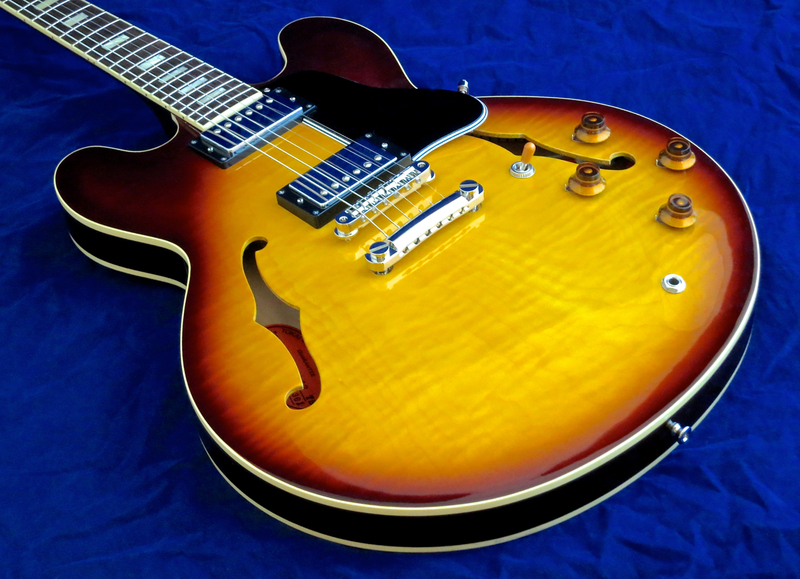 The Tokai ES-138 is very comfortable to play – both seated and strapped on – and balances superbly. This model’s neck profile is a medium-thick ”D”, which feels great (at least in my hand). 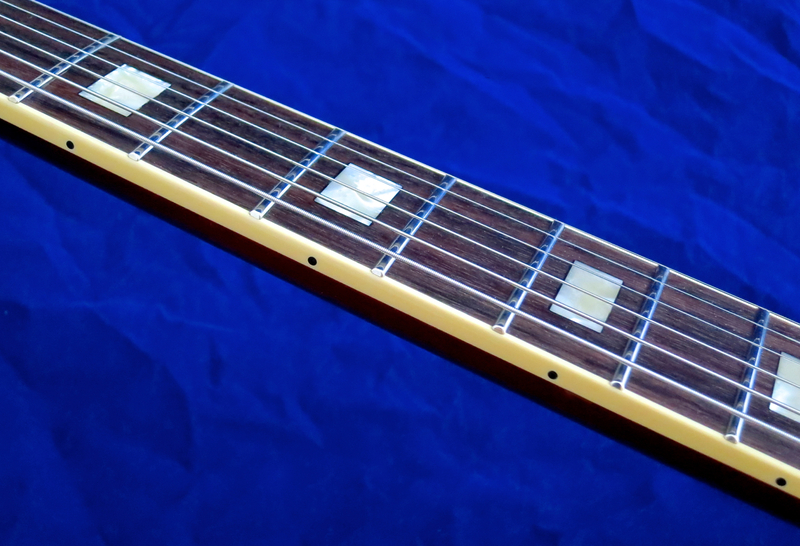 The fret job on the test sample was excellent, the set-up spot-on, and the action very light (with a set of 010s). 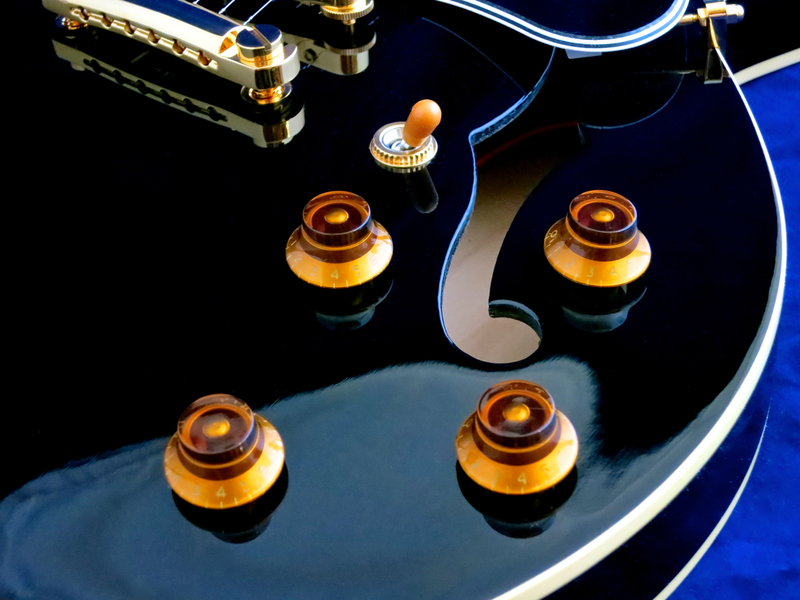 The ES-138’s acoustic tone is typical of this type of guitar – very hollow and nasal with a clicking attack. 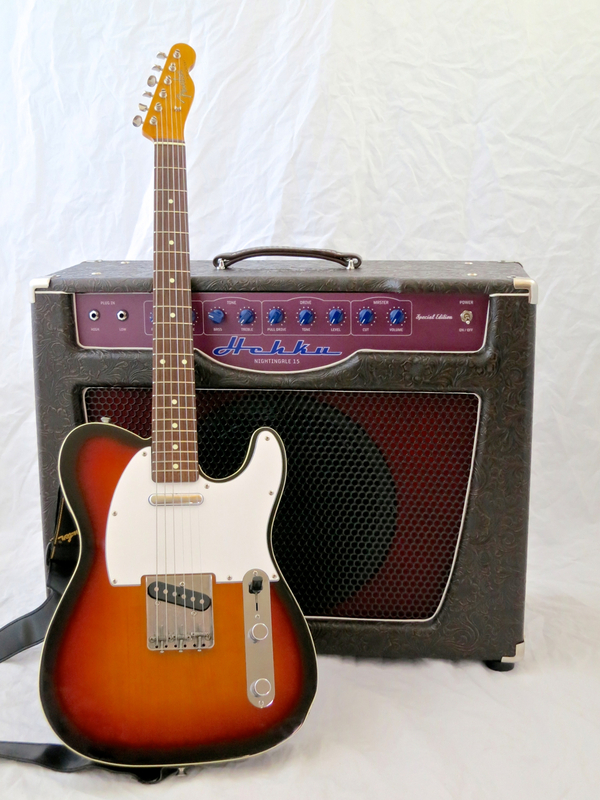 Tokai’s own rendition of the classic PAF-humbucker is superb, there’s no two ways about this! 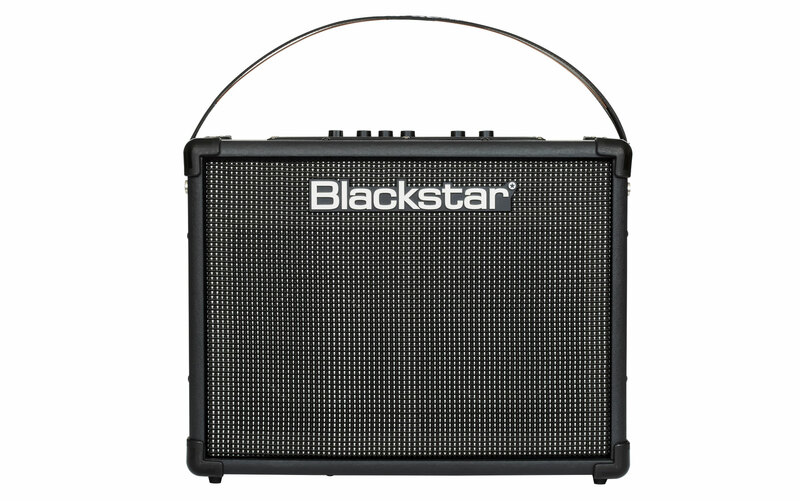 The output signal is moderate, and the basic sound is very open and dynamic. 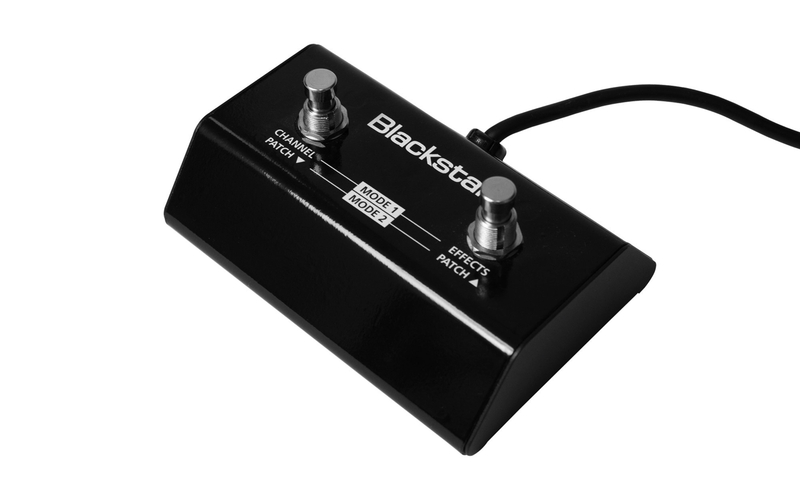 The neck pickup has a warm, round tone, but doesn’t mush up. 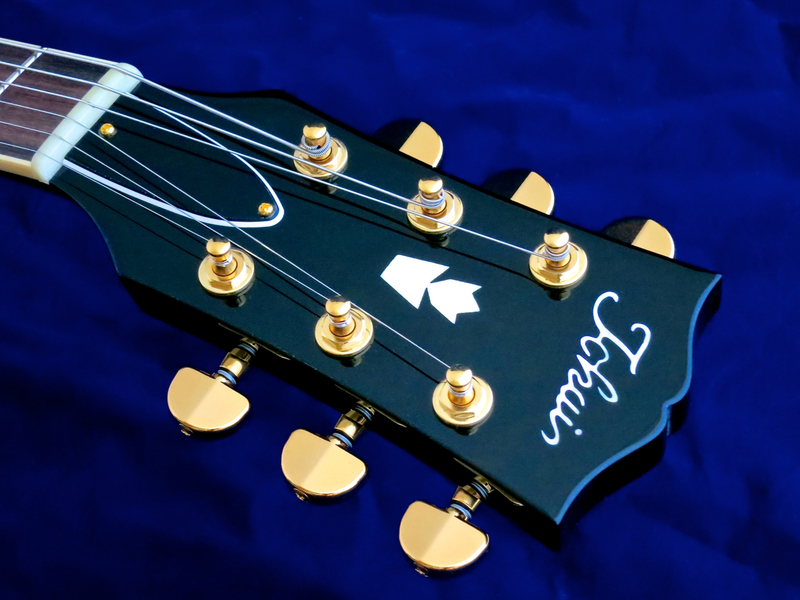 The middle position on the selector switch gives you a very balanced and open sound. The bridge humbucker on its own sounds fresh and crispy, with not even a hint of annoying mid-range ”nagging”. The black-and-gold ES-145G sure looks very stylish – this is the distinguished gentleman in Tokai’s ES-range, who keeps his cool and looks dapper, no matter what. Our test sample was the heaviest guitar of this trio, but still much, much lighter than may lesser contenders. The ES-145G’s neck profile is also the chunkiest. This D-profile is a real palm-filler, giving you a real taste of late-Fifties goodness, and managing to stay just on the right side of ”fat”. 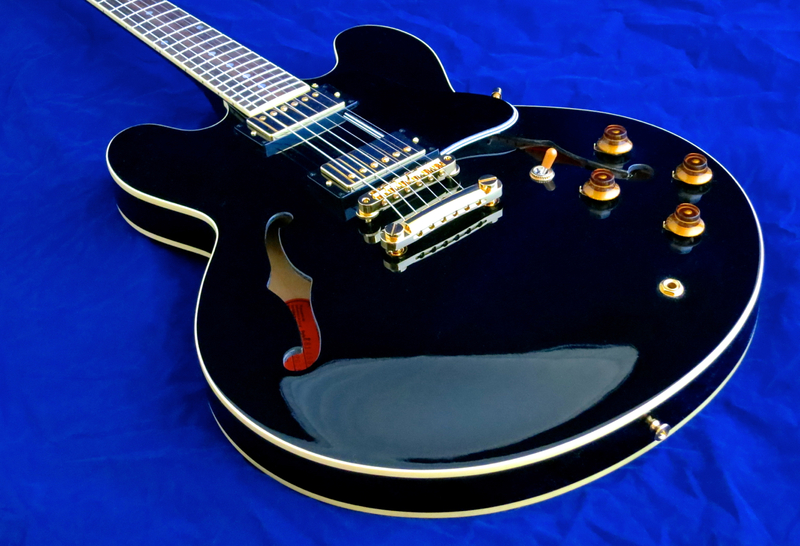 The workmanship displayed, and playability offered by the ES-145G are simply superb. Played acoustically there’s not a lot of difference between the ES-145G and the ES-138. 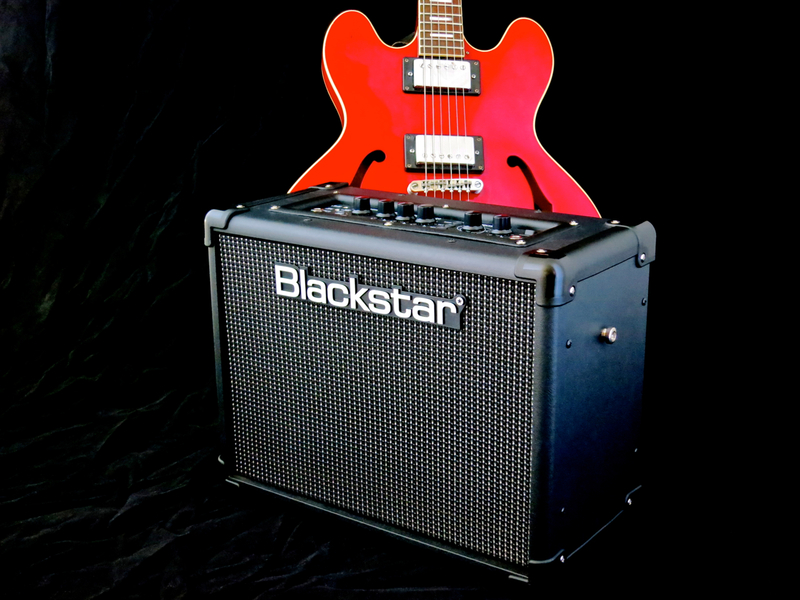 Through an amp, the ES-145G sounds just like a quality semi-acoustic should – humbucker power, balanced by a clean mid-range. Our review sample of the Tokai ES-162 is a real featherweight! The ES-162’s Block Marker -personality is completed by an authentic early-Sixties style neck profile. It’s an oval ”C” that is less of a handful than the ES-138’s neck. Top marks for the ES-162’s workmanship, finish and playability – this is a first-rate instrument. 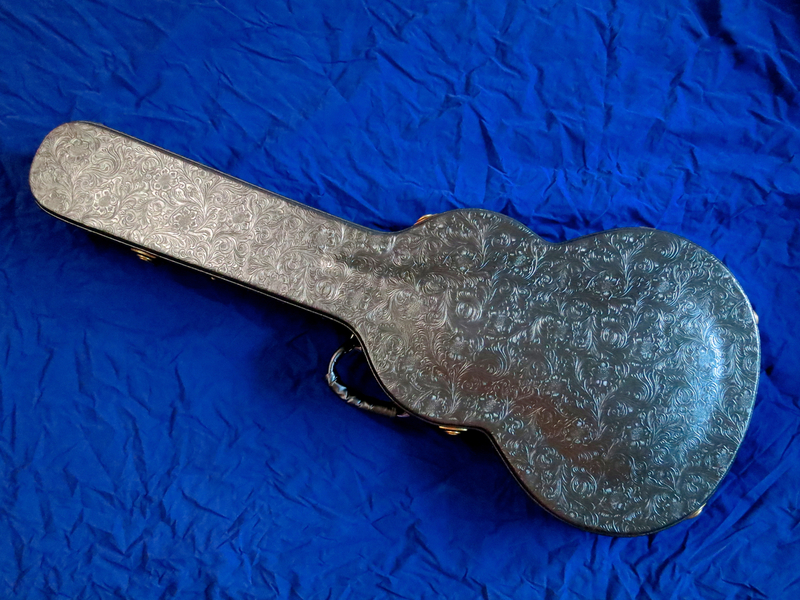 This model’s thin nitro lacquer, its lightweight tailpiece, as well as the brass saddles on the Tune-o-matic combine into a very open-sounding and dynamic acoustic performance. 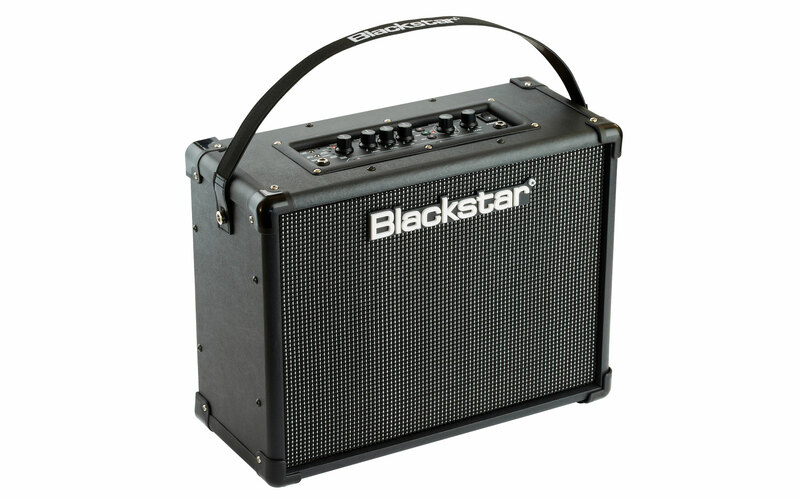 Standing in the same room with your amp, it is easy to notice an added degree of 3D-depth and scope in the guitar’s amplified tone. Interestingly – as is so often the case – recording the sound doesn’t seem to fully convey this added tonal dimension. 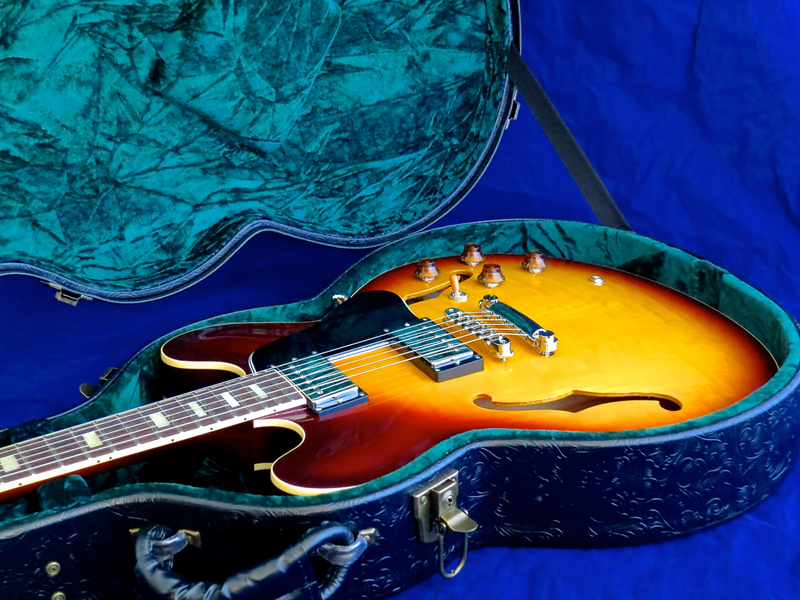 You have to experience the ES-168 ”in the flesh” to get the full picture; the recordings sound remarkably similar to the other two models’ performances. The reputation of Tokai Japan -instruments has been legendary among players and collectors ever since the 1970s. This trio of ES-semis makes it crystal-clear that Tokai actually deserves this reputation thanks to the superb quality of it’s Made-in-Japan guitars. 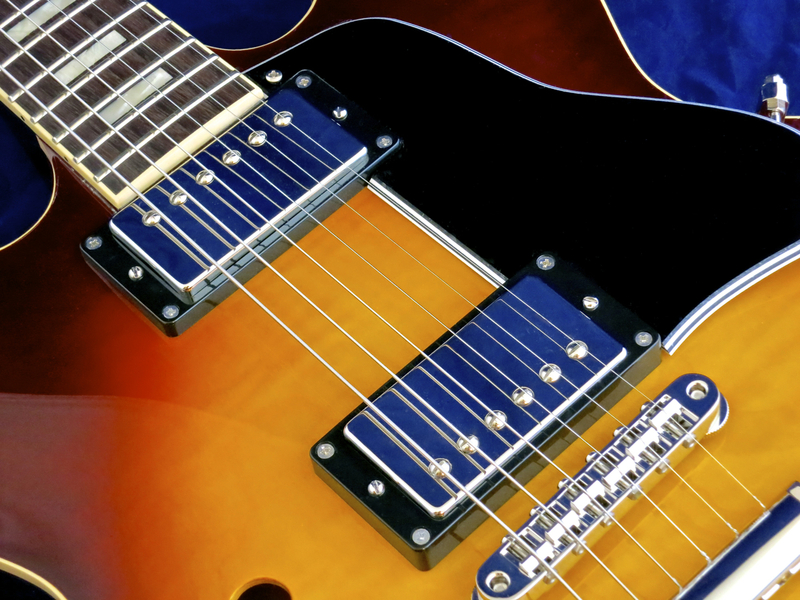 Tokai’s ES-138, ES-145G and ES-162 offer you genuine Japanese quality at very fair prices.